Does Chapter 7 Eliminate Debt? Many debtors believe that by filing for bankruptcy their debt will be erased. Unfortunately, this is not entirely true. The type of debt the individual has and the chapter of bankruptcy he or she decides to file will be major factors in deciding the type and amount of debt that is erased. These individuals may be particularly interested in Chapter 7 and wonder does Chapter 7 eliminate debt. Chapter 7 bankruptcy was designed to help individuals who are not able to pay off their debts and are looking for a new financial start. Debtors who qualify can file for Chapter 7 to discharge some of their debts. 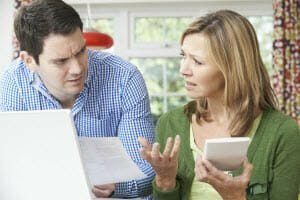 Once individuals understand which debts can be discharged under this type of bankruptcy, they will have the answer to does Chapter 7 eliminate debt. How Does Bankruptcy Discharge Help Debtors? When the bankruptcy court approves the discharge of an individual’s debts, the person is no longer personally liable for those debts. This also means that creditors can no longer take certain actions to try and collect on the debts. Most of the time the court grants the debtor the discharge about four months after the debtor files Chapter 7. However, it is important for individuals to know that the court only includes the debts that the debtor incurred prior to the date of the filing in the discharge. Under the current Bankruptcy Code, the courts can not discharge these 19 categories of debt. Any debt that does not fall into one of these categories can be subject to discharge. If the court discovers any fraud related to the debts, the debts can become non-dischargeable. The court may also discharge other less common types of debts. For example, you can include claim payments from auto accidents unless the accident was the result of a DUI. The courts can also discharge overpayments with Social Security benefits. You may also discharge lawyer fees unless the fees are connected to child support cases or alimony cases. If you are not sure does Chapter 7 eliminate debt that you have, schedule a consultation with an experienced bankruptcy attorney. The attorney will let you know whether you qualify, and if not, the attorney will inform you of other debt relief options.